While working at my computer I started to feel numbness in my face and began wondering what I was exposed to or might have eaten to cause the sensation. It wasn’t long until I realized there was a chemical smell permeating my home. I quickly ran to each window to see what was going on outside. And there I spotted it over a half a block away below my home a yard was being sprayed by a riding sprayer. I quickly closed my windows grumbling as I did so. This was 4:30 pm when my husband came home at 5:30 pm he could still smell the chemicals in our house and said it was even worse outside. In a few hours the smell dissipated and I was able to open the windows to air out the house. I wonder if people realize the amount of poisons they are exposing their family, friends, neighbors and pets too. Do they realize that the dandelions and other plants they are trying to eradicate actually are healthier to eat than many garden greens? Do they know that many of them also have medicinal qualities? Today my throat hurts – my face feels better but I wonder what damage has been done to my body. All for the sake of having “pretty green lawns”. 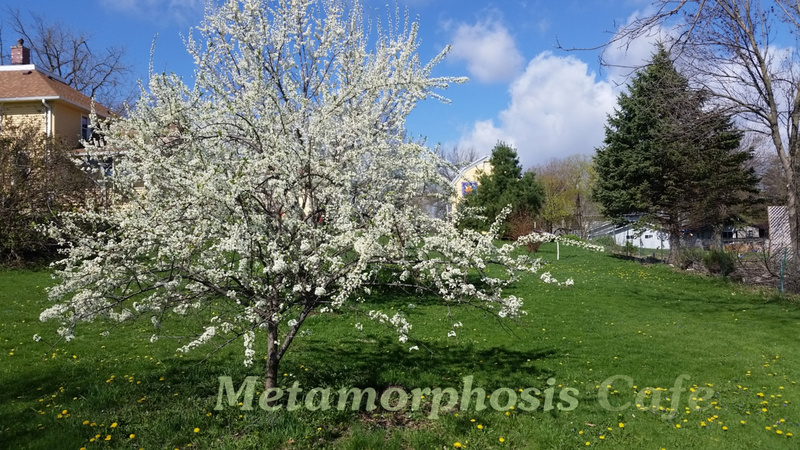 My lawn is pretty- I have violet blooming, dandelions blooming in waves and when its cut it doesn’t look that much different from my neighbors who all spray. I’m sure I can’t call my produce in my garden organic since there has been drift from people who spray. Even though my yard is large and my garden is not close to my neighbor’s property. When spraying is done on breezy days it escapes to my property and poisons my property. My dandelions might spread but they don’t make you sick like the chemicals make me sick. 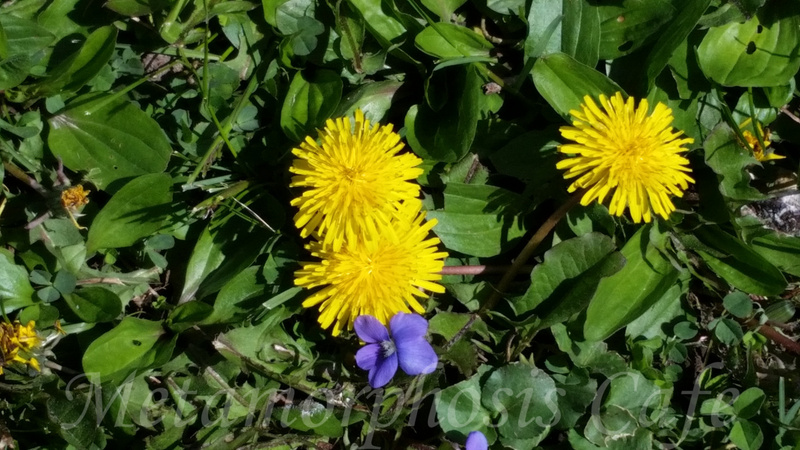 Those very dandelions many despise are the first foods for bees and other pollinators. When I walk Scotty I can smell the chemical on people’s yards long after the 24 hour notice signs have been taken down. If I can smell it it is still there waiting to stick to the feet of pets, birds, children. We bring it in on our shoes. Who knows how many chemicals that we are exposed to on a daily basis that may be causing the rise in cancer and autoimmune disease. I am sure that I don’t know, but I do know how my body reacts and that is all I need to know to say please think twice before spraying or applying chemicals to you lawn and especially consider those who are more sensitive that may live around you.